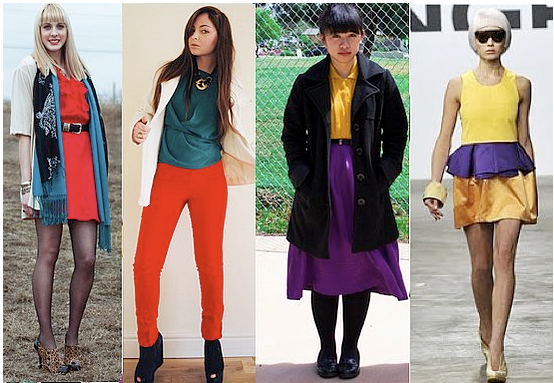 I challenge you to.. wear contrasting colors! What's "I challenge you to..."? t's weekly special where we (Flor de Maria Fashion & I) challenge our readers and bloggers around the globe to wear specific trends- and we would love if you could join us. Every Tuesday we'll publish the next challenge, and then on Mondays: we'll show you how we wore the trend and you'll be able to share your link&outfit. We were inspired by "Bloggers do it better" but we want to give our own twist to it! Ya quiero ver sus combinaciones! Un abrazo! Me encanta este tipo de post, si puedes pasate por nuestro blog te lo agradeceria muchísimo porque queremos darlo a conocer. Gracias.